Browse: Home / Hugo Pinell, Presente! It is with very heavy hearts that we mourn the loss of Hugo “Yogi” Pinell, who was killed at New Folsom Prison this past Wednesday, August 12, 2015. Our thoughts are with his family and community. The circumstances of Pinell’s death invoke confusion and anger. Those feelings are compounded by the prison regime’s systematic denial of communication and information, and the media’s shameful, dehumanizing “reporting” on Pinell’s death (and life). We do our best to lift our spirits by holding up Hugo’s powerful legacy. Imprisoned since 1965, Hugo Pinell—like many other people of his time—was politicized while inside, educated and inspired by the Civil Rights Movement, the Black Power Movement, and other freedom movements on the outside. 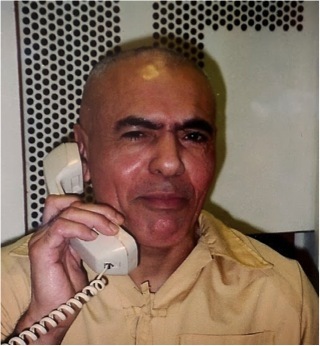 Hugo became a part of the Prison Liberation Movement, which saw the prison as a front of struggle connected to the global upsurge of oppressed people against colonialism, imperialism, and white supremacy. This was a period of intense education, organizing, and resistance among imprisoned people—some locked up as political prisoners, some transformed while inside, nearly all targeted by prison administrations for their political stances and activism. In 1971, Hugo, along with 5 other prisoners at San Quentin State Prison in California, were charged with raising a rebellion at the facility’s Adjustment Center, during which prisoner movement leader George Jackson was assassinated. Several weeks later, actions commemorating the assassination of Jackson by prisoners at Attica went on to spark the massive rebellion at that prison. The story and political trial of the San Quentin Six helped people across the planet to understand the conditions inside prison, the resistance of prisoners, and the connection across the walls that the Prison Liberation Movement was trying to make. I wasn’t prepared for a hunger strike, so I don’t know how well or how long I can hold on, but I had to participate…I don’t even think in terms of doing or saying something wrong, for that would strike against everything I live for: freedom, becoming a new man and the New World. So, Sis, this hunger strike provides me with an opportunity for change while also allowing me to be in concert with, and in support of, all those willing to risk their precious and valuable health. As we act in solidarity with prisoner resistance and Black Liberation by commemorating Black August; as we continue to work to abolish solitary confinement, along with violence of imprisonment and policing; and as as we continue to understand and fight for the New World, we can be renewed, emboldened, and inspired by the indefatigable spirt of Hugo “Yogi” Pinell.